The huge beautiful blooms that the Chinese Snowball bush produces each spring are spectacular. And, if you are lucky you will see a 2nd blooming in the fall. 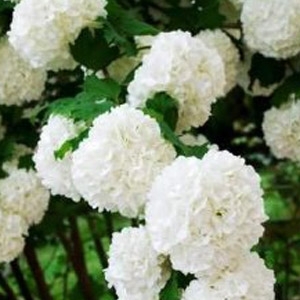 Chinese Snowball can grow to 10-15' tall.